I heard you loud & clear! 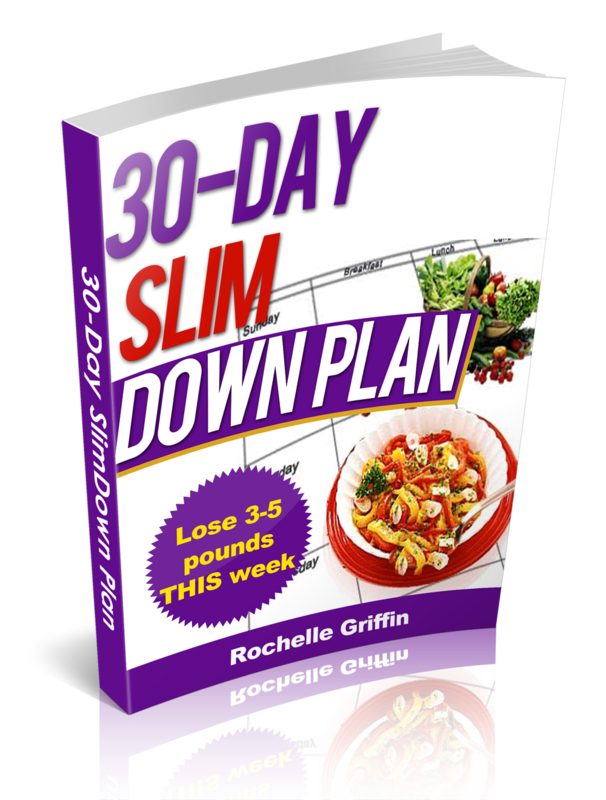 I’m excited to offer you my POPULAR 30-Day SlimDown Plan! I’ve literally done ALL the work for you. I’ve created the calendar, shopping list, and given you the yummy recipes. Are you ready to meet the Skinny you!?!?! This person is sooooo ready to meet you! The contents of the GoFitCoach/Your Best Life/Rochelle Griffin Site, such as text, graphics, images, hyperlinks to other websites, and other material contained on the GoFitCoach/Your Best Life Site/Rochelle Griffin (“Content”) are for informational purposes only. The Content is not intended in any manner to be a substitute for professional medical advice, diagnosis, or treatment. Always seek the advice of your physician regarding any questions you may have regarding your personal medical condition. Never disregard professional medical advice or delay in seeking it because of something you have read on the GoFitCoach/Your Best Life/Rochelle Griffin Site. The use of theGoFitCoach/Your Best Life/Rochelle Griffin Site and the Content is at your own risk and provided on an “as is” basis. The inclusion or exclusion of any Content in no manner is a substitute for the informed consent process that must take place between you and your physician regarding any medical treatment or procedure. 1. The accuracy, reliability, completeness, or timeliness of the Content provided on or through the use of theGoFitCoach/Your Best Life/Rochelle Griffin Site. 2. The satisfaction of any government regulations requiring disclosure of information on prescription drug or medical device products with regard to the Content contained on theGoFitCoach/Your Best Life/Rochelle Griffin Site. In no event shallGoFitCoach/Your Best Life/Rochelle Griffin or any third parties mentioned on theGoFitCoach/Your Best Life/Rochelle Griffin Site be liable for any damages (including, without limitation, incidental and consequential damages, personal injury/wrongful death, lost profits, or damages resulting from incomplete or corrupted data) resulting from the use of or reliance upon, theGoFitCoach/Your Best Life/Rochelle Griffin Site or the Content, whether based on warranty, contract, tort, or any other legal theory. When using theGoFitCoach/Your Best Life/Rochelle Griffin Site, information will be transmitted over a medium that may be beyond the control and jurisdiction ofGoFitCoach/Your Best Life/Rochelle Griffin. Accordingly,GoFitCoach/Your Best Life/Rochelle Griffin assumes no liability for or relating to the delay, failure, interruption, or corruption of any data or other information transmitted in connection with use of theGoFitCoach/Your Best Life/Rochelle Griffin Site.